Massive aromas hit the nose with toffee, jasmine, vanilla, and black tea. The body is juicy, silky, and rather heavy on the tongue. A delicately balanced acidity pleases the senses with apricot, nectarine, pineapple, mango, and peach. Decadent sweetness of honey and peach nectar is balanced by an overall complex presence of tannins, jasmine, and rose. It is all finished with a soft linger of caramel, stone fruits, and chocolate. At Cat & Cloud we connect with people over coffee. We believe in surrounding ourselves with people that bring out the best in us, and hope to bring out the best in other people. We share information freely, are driven by the belief believe that the experience of great coffee paired with great people has the power to change lives for the better, and we're ready to prove it. Categories: Coffee Ratings. Origins: Ethiopia and Yirgacheffe. Flavors: Apricot, Caramel, Honey, Jasmine, Nectarine, Peach, and Rose. Brew Descriptors: Balanced, Juicy, and Sweet. 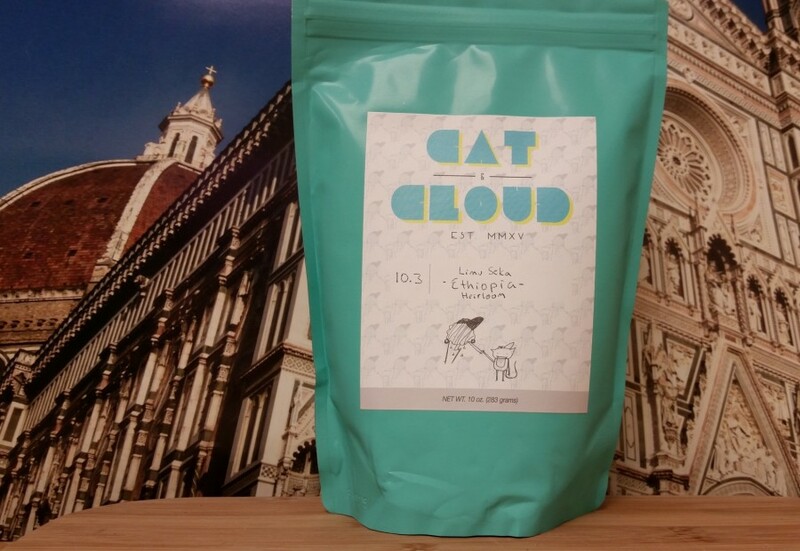 Roasters: Cat and Cloud.